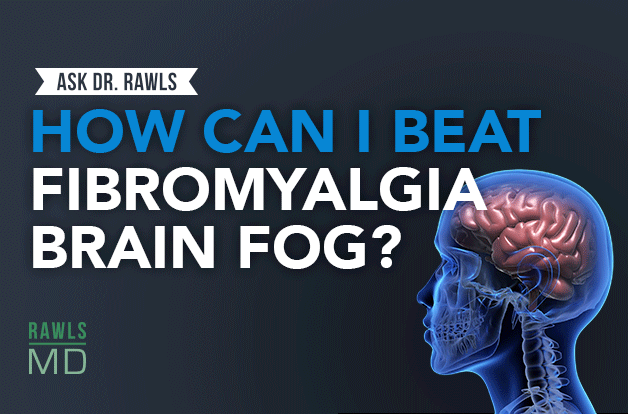 How Can I Beat Fibromyalgia Brain Fog? Home/Health-Articles/How Can I Beat Fibromyalgia Brain Fog? Learn why brain fog is such a common symptom among fibromyalgia sufferers, and get the natural solutions for restoring healthy cognitive function. Question: How can I beat fibromyalgia brain fog? We’re talking about brain fog, also sometimes called “fibro fog.” It’s that feeling like you’re in slow motion, nothing is working well, your mental functions are slow, you can’t seem to get things together, handling stressful situations is very frustrating. And it’s so much a fundamental part of fibromyalgia and many chronic illnesses. It’s really frustrating, but it’s a symptom, and it’s not something that you can just take a pill for and get rid of. You have to address the causes, what’s going on there. What I think is happening is inflammation and disruptions of communications in the body. When you look at fibromyalgia, we’re starting to see that there’s a disruption of immune system functions and disruption of all of the messaging systems in the body: neurotransmitters, brain or neuro functions, hormones, the messengers that the immune system uses to talk to itself. All of those things are disrupted, and when things aren’t connected, then nothing works well, including your brain. I think the fundamental things behind it are factors that come together to disrupt immune system functions and allow microbes in our body to flourish. There’s commonality between fibromyalgia and many other microbes that are associated with chronic Lyme. There are many of them, and we’re finding that we do have microbes in our tissues. Thirty years ago when I was in medical school, we thought that we just had microbes in our gut and on our skin, but recent studies are showing that we all have ultra-low concentrations of microbes throughout all of our tissues, including in the brain. If you’re healthy and your immune system is working well, those things are suppressed and they’re not a problem. But if your immune system becomes disrupted, then it gets to be this vicious cycle like a pot boiling over, and the microbes start flourishing. So you have local inflammation, you have disruption of communications, and that causes brain fog and all the other symptoms that come with fibromyalgia. So dealing with it: Part of it is just pushing through it. Part of it is really working hard to get a good night’s sleep, because sleep is so important for brain functions. And part of it is addressing the causes and restoring a normal immune system, restoring normal communication pathways, suppressing these low-grade microbes that are in all of our tissues. I’ve found that the thing that worked the very best for that was herbal therapy.